“It’s a bit out of the way; do you need directions?”, the local RSL sub-branch president asks. 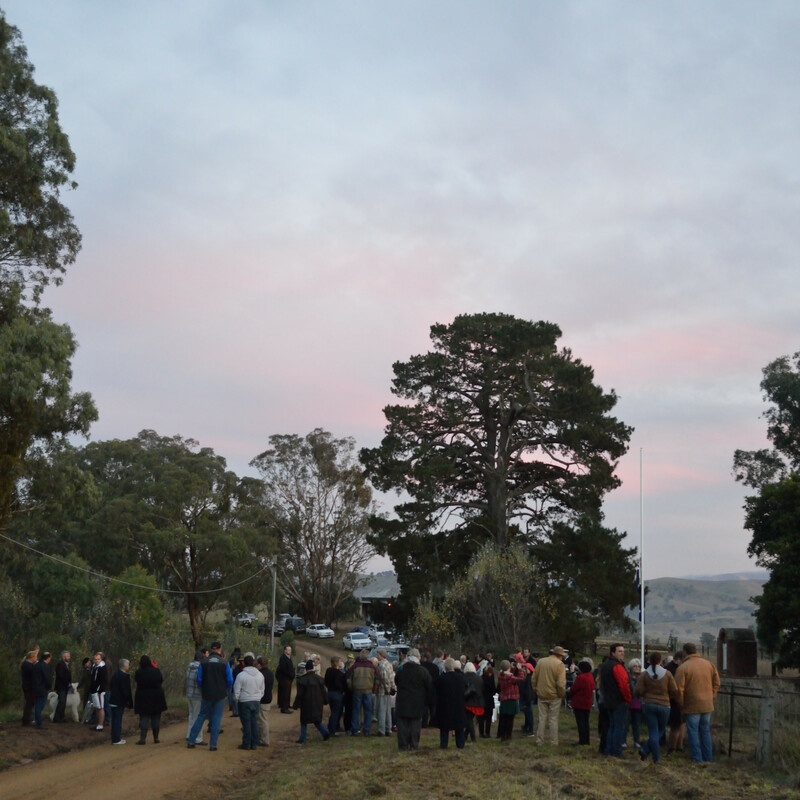 It’s the night before Anzac Day and we’re ringing to confirm arrangements for the dawn service. 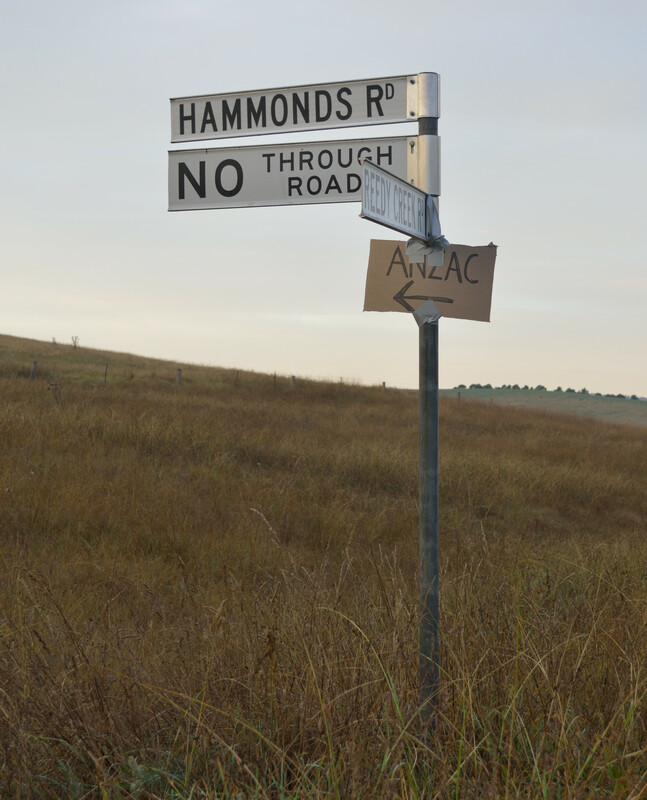 New to this part of Gippsland, five hours east of Melbourne, we gladly take the directions, and a good thing, too. 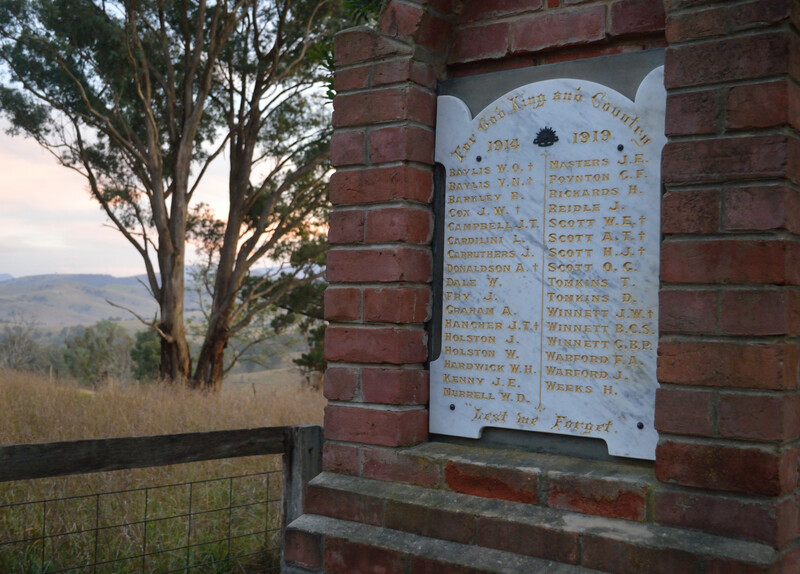 They require a left-hand turn at the pub, veering right at a fork, turning left onto a No Through Road… Our destination in the early hours of 25 April 2015 is the Reedy Flat war memorial, which bears the names of 33 townsmen who served during the First World War. The town is gone, but the names remain. Some descendants remain as well. In a fitting speech, Carey Mudge sketches the stories of six of his relatives listed on the memorial. Three died and three returned. Mudge thanks the members of the nearest RSL sub-branch, Ensay-Swifts Creek, for their efforts to retore the memorial and hold the first service in living memory here: these men, too, are remembered today. Early media reports this Anzac Day suggest record attendances at the central capital city services, especially at Martin Place in Sydney, the Australian War Memorial in Canberra and the Shrine of Remembrance in Melbourne. But how many other war memorials, I wonder, stand alone? Chatting they are: about the great-uncles and grandfathers and great-grandfathers listed on the memorial; about school; about the weather. A community that has offered its quiet contemplation, and now goes about its day. Where are contemporary veterans in the Anzac Centenary’s ‘Century of Service’? One of the most striking aspects of Australia’s Anzac Centenary in comparison with other countries’ First World War centenaries is the number of anniversaries that will be commemorated. In the United Kingdom, the First World War Centenary is shaped around six key dates; in Canada, 100 Years: First World War 1914-1918 will mark 12 centennials ; and in New Zealand, WW100 consists of 12 national commemorations. Meanwhile, Australia’s Anzac Centenary will mark no fewer than 36 significant commemorative dates, so that a commemoration will occur, on average, once every 43 days. Do you have a right to be on Team Anzac? And I watch the parades pass before me. Reviving old dreams of past glories. They’re tired old heroes from a forgotten war. And I ask myself the same question. But as year follows year, more old men disappear. Someday no one will march there at all. Stephens’ piece is a valuable overview of the Soundscape project and asks some important questions about the context, purpose, and ethics of the primary school students’ involvement. I am also interested in the impact the project will have on visitors’ experience of the Memorial, in particular of the Roll of Honour. The project brings to mind my own experience of a similar undertaking at Tyne Cot Cemetery in Belgium. In 2014 the First World War centenary – or, as it’s officially being called in Australia, the Anzac centenary – really is everywhere. 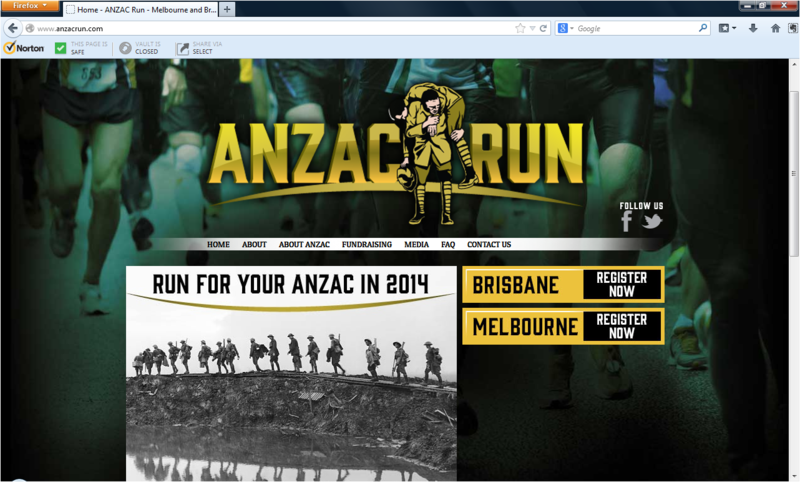 Lately I’ve been seeing ads for “ANZAC Runs” to take place on either side of Anzac Day this year, in Melbourne on 21 April 2014 and Brisbane on 27 April 2014. I'm Ashleigh Gilbertson, a secondary English and History educator. This blog is a place to record my thoughts on Australian war history. You can also find me on Twitter @ACPGilbertson.